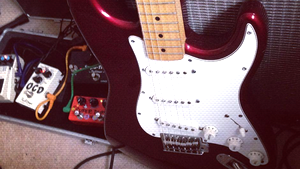 KitMonsters – Fulltone OCD. The music makers’ guide to making music. 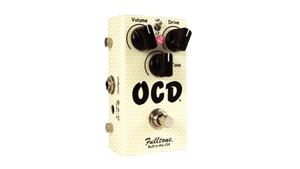 The Fulltone OCD is a classic pedal - and its full name is Obsessive Compulsive Drive Pedal. It has a precision response to make the tone match your playing style, great brightness and responsive attack, plus a huge range of sounds. In 2017 a new version - OCD V2 - was launched with new features including an output buffer for consistency and sustain, a JEET input section for better interaction with single coil and humbuckers, and an internal switched for Enhanced Bypass and True Bypass.